Punters are the last line of defense when preventing the other team from scoring. The further back the punter kicks the ball, the less likely the opponent is to score. Punters are essential in every game of football. 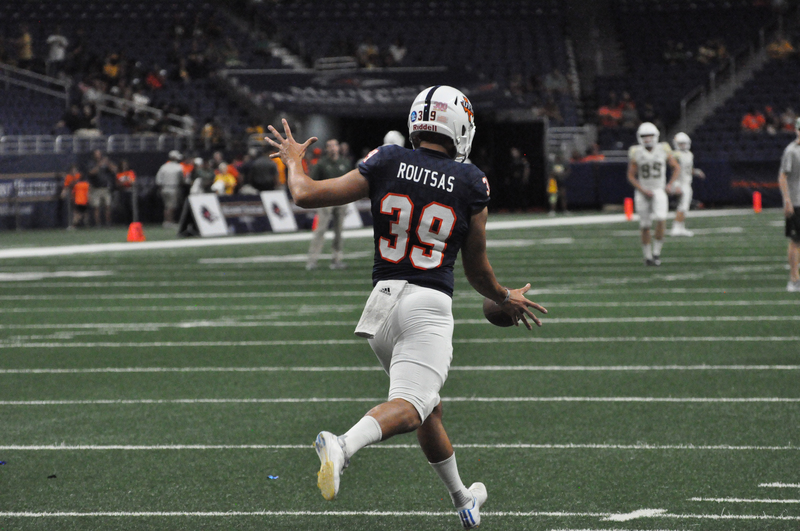 UTSA’s football team has the honor and privilege to have Yannis Routsas as their punter, making a mark in UTSA history. 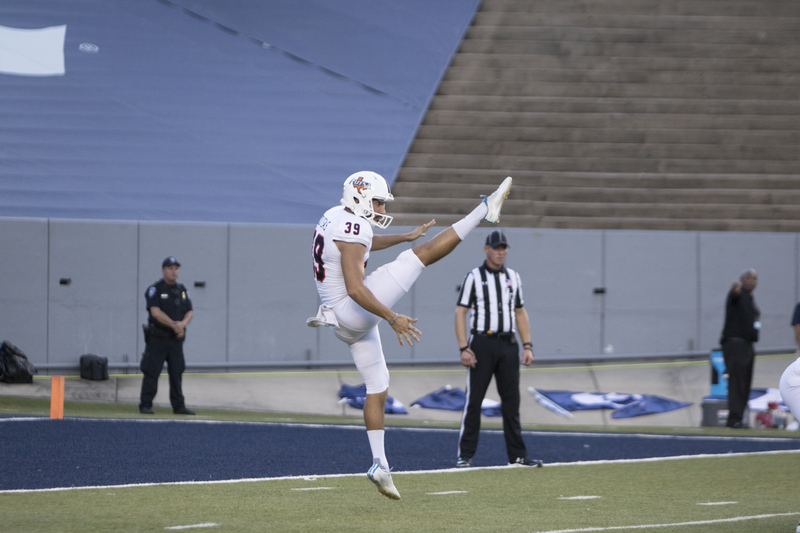 He has been dedicated to football, as well as his academics, which has turned him into a well-rounded individual as he completes his last year at UTSA. Routsas has some impressive stats throughout his college football career. Not only has he been a member of the C-USA Commissioner’s Honor Roll throughout college, he set a school record by averaging 42 yards on his 69 punts – 60 of which he got during his sophomore year against Old Dominion. In his junior year he was a top 10 semifinalist for the Ray Guy Award given to college football’s most outstanding punter. Just this year, he was chosen as a preseason top player in the conference as a second team specialist All Conference USA (Athlon Sports). Routsas is from Houston, Texas, and has always been involved with soccer and basketball growing up, but everything changed in seventh grade. Routsas went to Clear Brook High School, and stated, “High school football was amazing because of all the good Texas teams we went up against.” Although high school football was a fun experience, he says that college football is so much better in several ways. “I didn’t want to play football at first, I just didn’t really like it, but my middle school coach wanted me to try out for kicker, so I went out there and everything just came natural to me. The atmosphere is a lot better. 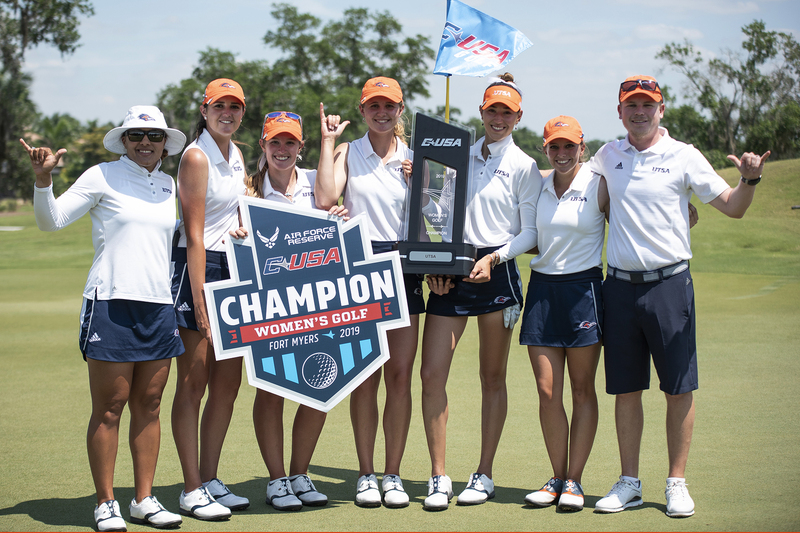 Getting to travel to different states doing something I love, it’s just a great experience,” Routsas said. “I started to really enjoy it. I know the college experience is greater with football and being able to earn a scholarship was great because then my parents didn’t have to worry about paying for my college. Just being able to be a part of the team atmosphere, all of that.” Routsas also stated that one of his favorite memories just this past year was the Gildan New Mexico Bowl game. “Everything just felt like home. I like how everything is close together and it doesn’t take 30 minutes to walk to each class. They had my major here and the coaches made me feel like a part of their family. Also, it’s close to home. My parents can come to every game. I also knew I had an opportunity here, being able to play as a freshman. I took it.” Football is apart of Routsas life, but so is his academics. He just graduated in the spring with his Mechanical Engineering degree. Now he’s just taking different courses to broaden his spectrum. Playing football while simultaneously earning a STEM degree wasn’t easy at all. Routsas warming up against Baylor. Routsas loves the outdoors, so when he’s not playing football, he’s listening to country music, fishing or hunting. When it is football season he has a unique ritual that he does before every game. Playing football at UTSA helped him shape into the person he is today. “All the challenges you go through helps you shape your future. It helped me be on top of my stuff. I learned how to time manage my schedule. If you fall behind in anything, it shows on the field.” His coach told him, “Motivate your mind, and your body will follow.” Which is exactly what Routsas has been doing throughout his four years in college. Routsas always puts his best foot forward, literally. If you would like to see him in action, the next home game will be Saturday, Nov. 10, against Florida International University. Come out and support the UTSA football team.